A couple of days ago, I read an interesting article in The Guardian titled “Time Travelers: Please Don’t Kill Hitler” by Dean Burnett. In this article, Mr. Burnett makes the argument that terrible as Adolf Hitler was, it would be a mistake for someone from the future to go back in time and kill him. If you find yourself suddenly gaining access to a time machine, what’s the first thing you’d do? If you said “kill Adolf Hitler”, then congratulations; you’re a science-fiction character. Actually, the whole “access to a time machine” thing suggested that already, but the desire to kill Hitler clinches it. Any time-travelling sci-fi character (at least ones created by Western society) seems to want to kill Hitler, so much so that there’s a trope about how it’s impossible. That attempting to kill Hitler has become such a common sci-fi plot device speaks volumes. What about Stalin? He was arguably worse, killing 20 million of his own people to fuel his ideology. But no, Stalin went about his business unmolested by time travellers, all of whom are busy targeting Hitler. It’s understandable. Who wouldn’t want to prevent the holocaust? It’s probably the worst thing in history. And I only say “probably” because I don’t know all of history, and the human capacity to be awful should not be underestimated. But as noble as it seems, killing the Fuhrer via time travel is a terrible idea, for real-world reasons, not just those in fiction. So should you get hold of a time machine and make plans to kill Hitler, here are some reasons why you shouldn’t. He gives some very good arguments for not killing Hitler and the whole article is worth reading. Personally, I do not think that Hitler was the greatest villain in history. Don’t get me wrong. He was an evil person and the Holocaust was one of the greatest atrocities in human history, but Stalin and Mao killed far more people than Hitler and their regimes were far more cruel. I would not want to live under any dictatorship but I would prefer to live in Nazi Germany over Communist Russia or China. Pol Pot has the record for most people killed in proportion to the population of the the country he ruled. Under his rule the Khmer Rouge may have killed as much as a third of Cambodia’s population. Hitler was eventually defeated. Communism fell in the Soviet Union and has been much modified in China. In North Korea and Cuba, the people have suffered under unreformed Communist tyranny for over fifty years, longer than anywhere else. Castro and the Kim dynasty may not have the death toll of a Hitler or Stalin but the misery they have inflicted on their people must be as great over time. One argument that Burnett makes is that Hitler was uniquely responsible for the horrors of World War II and the Holocaust. This was hardly the case. Stephen Fry dealt with this superbly in his book Making History. Without spoilers, the problem is that many assume Hitler was the sole cause of the second world war and all the associated horrors. Sadly, this is a gross oversimplification. Germany in the 1930s wasn’t a utopia of basket-weaving peace lovers who were suddenly and severely corrupted by Hitler’s charismatic moustache. The political tensions and strife were all there, results of a previous world war and a great depression; Hitler was just able to capitalise on this. But if he hadn’t, say because he had been eliminated by an errant time traveller, then there’s nothing to say that nobody else would. The truth is that Hitler invented very little of the ideology of the Nazi Party. 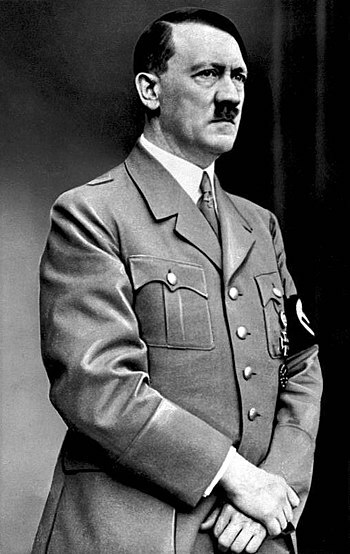 Most of the ideas he preached; the Aryan master race, the evil of the Jews, the necessity of struggle to improve the race, etc, were held by many Germans who considered themselves enlightened and progressive. The minds of most educated Germans, (and others throughout the West) were filled with ideas from Darwin, Marx, Nietzsche, and others in a sort of mixture that included ideas about inferior and superior races and violence as a method of either improving the race through struggle, or overturning a corrupt order to bring about a new world. In other words, Hitler was far from being the only person who supported ideas that we now associate with the Nazis, nor did he really have much trouble convincing millions of Germans he was right. If Hitler had been killed in childhood by a time traveler, it is likely some one else, with the same sort of ideas would have come to power. The Nazis weren’t the only ones who wanted to overthrow the Weimar Republic. The Communists were the Nazi’s greatest rivals in politics. Without a Hitler, perhaps the Communists would have come to power in the 1930s. That might have been far worse Germany and the world. Hitler was briefly allied with Stalin from 1939 until 1941 when he double crossed Stalin and invaded the Soviet Union. This was Hitler’s greatest mistake and it caused him to lose the war. If Germany were controlled by Communist leader who remained allied with Stalin, perhaps even a puppet of Stalin, the resulting Russo-German alliance might have been unbeatable, at least until the invention of the atomic bomb. World War II could have been a whole lot worse and perhaps the good guys, (or at least us) may not have won against a more competent Führer. Something to think about if you ever manage to acquire a time machine.